Does Wondercide Really Work? Try Everything...LOVE Everything! Home > PAWSitive Feedback > Wondercide > Does Wondercide Really Work? Try Everything…LOVE Everything! Does Wondercide Really Work? Try Everything…LOVE Everything! 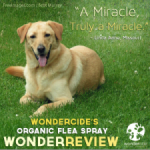 PAWSitive feedback offers us a great reminder of why we do what we do every day at Wondercide, creating safe and super effective natural products to protect pets and families without chemicals. So, when we get a truly thoughtful review, we can’t help but share it with our readers. Our customer Sandra bought the Try Everything Sample Pack and, from the looks of it, was quite pleased with her purchase. You may have been wondering, “Does Wondercide really work?” Well, the answer is “Yes – of course!” and our product samples and sample packs can be an excellent way to find out for yourself. “Hello! First, I would like to say that I ordered the Flea & Tick Control for Pets + Home and the sample pack of everything. 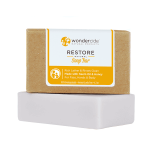 Though its too early to put the Flea & Tick Control for Pets + Home to the test, I did use the sample of the Restore soap while giving my dog a bath. It’s true that soap bars are easier to use than the liquid shampoos sold in pet stores. Something remarkable about it is that without having the chemicals for deep lathering, I found that the soap was so much easier to rinse out, leaving my dog with a truly clean coat. No perfumes – nothing to dry his coat out. Just simply clean. And I have to say that it’s refreshing to know what goes down the drain isn’t something poisonous that I will be drinking later on. 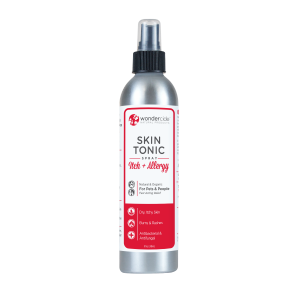 Next in my sample pack to try was the Skin Tonic Spray. I originally wanted this for my parents GSDs because one of them commonly gets hot spots, and they aren’t too pretty in the show ring. We have transitioned the dog to a raw diet in hopes it will stop the hot spots, but in the meantime, I figured this Skin Tonic could help it along some. The dogs haven’t tried it yet, but I used it on myself on severely dry elbows. It was like a miracle. One squirt and all the dryness was immediately gone, and it did not leave any oily residue on my clothing. It absorbs into the skin immediately, and I love the product. When weather warms up, I will be testing out the Flea & Tick Control for Pets + Home and the Natural Personal Insect Repellent. But if they work anywhere near as well as what I have tried so far, I’ll be tickled. 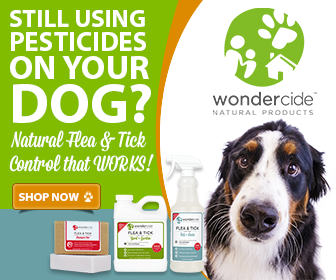 We just started using Wondercide on the dogs. I really hope it works this summer on the dogs for ticks and fleas but last night my wife and I tried the insect repellant spray at an agility match outside at 7:00 PM in a grass agility center when the mosquitoes came out. It did not repel the mosquitoes (at least the type up here in Eastern Canada) at all. My wife waited in the car and I ended up spraying myself with OFF from a friend. I was bitten multiple times and my wife as well. Thank you for reaching out about your experience with our herbal Insect Repellent. We appreciate all customer feedback and certainly want you to have success with our products. We would love to get a few more details about what happened if you’re open to sharing so we can work together to get you better results moving forward. Were you able to get full coverage with the Insect Repellent, applying to all exposed skin and misting onto your clothing? About how long after applying the repellent did you notice the mosquito bites? Our Insect Repellent is 100% naturally derived, and it is safe to reapply as needed if you notice the effects wearing off, but it should definitely deter pests following a full application. Feel free to also reach out to us at hello@wondercide.com or 877-896-7426 to talk things through. Regards!